Deals, Coupons, Freebies, Reviews & Giveaways! Darlin’ Deals Reviews ~ Kids Academy Apps! Darlin’ Deals is proud to present a Mom Buzz Media app review! Connecting Bloggers & Brands in Perfect Harmony. Thank you Mom Buzz Media for providing the content/topic for today’s discussion. Disclaimer: I received compensation in exchange for my honest review. I was not persuaded to write a positive review. All thoughts and opinions are my own. In our technological age its inevitable that kids will take an interest in video games, apps, and computers. Personally I prefer to keep my kids focused on educational apps if I do allow them to use the iPad or phones to play on. Kids Academy offers a variety of wonderful apps that keep kids occupied and entertained all the while learning crucial school based topics like math, reading, and writing. I was so excited to find out about this app, my 8 month old daughter loves nursery rhymes so this app worked perfectly to keep her content while I was grocery shopping. The Early Reading Toddler Games is a great feature for my 5 year old son, but since he is already reading at a 1st grade level they seemed more appropriate for him to read just for fun rather than to actually learn how to read. The best part about this app is that it is something that both of my children can enjoy and my son can use it while his baby sister observes and it is equally entertaining for her. Since my son is now in elementary school he has finally started learning more than just the basics of counting from 1-20 and this app seems like it has the right tools to help keep him on track to a better understanding of the wonderful world of math. I look forward to using this app to keep his mind in tune with the new math skills he’s been learning in the classroom. This app has a wide variety of options such as Math, Vocab, and even tracing word games. My 5 year old son absolutely loved the games and asked if he could play them instead of his usual request to watch TV when he gets bored, any mom would approve of a request like that 😉 I will definitely be letting him use my phone to play these fun educational games on our upcoming road trip. Darlin’ Deals Meal ~ Pull-Apart Pizza Casserole! Tonight I tried another new recipe that I got from Sweet and Simple Living, Easy Pull-Apart Pizza Bread. >>> You can Re-Pin this recipe on Pinterest to save for later! Cut biscuits into quarters, or halves depending if you use large or small biscuits like I did. Disclaimer: I received complimentary tickets to a Harlem Globetrotters game in exchange for my review. I was not persuaded to write a positive review. All thoughts and opinions are my own. My son recently began learning how to play basketball at his after school program and what great timing for him to take an interest in the sport because the Harlem Globetrotters happen to be doing their 2015 World Tour! I was generously offered complimentary tickets to their local game at the USC campus. Upon arriving at the Galen Center, where all the USC Trojan basketball games are held, I was pleased to see that the stadium style seating offered a great view of the court. There was plenty of excitement in the crowd as the game began and the players kept things lively with tricks, fast-paced playing, and comedic effects. Throughout the game there was comedic commentary between the players and the referees that had the whole arena laughing. Not to mention the talented players that pulled off some tricks that were nothing short of amazing. In addition there were hilarious pre rehearsed routines during the game that included a live-action instant replay and slow motion replay that was flawlessly acted out by the players. The players also brought members of the crowd onto the court for some light-hearted hijinks between each quarter. There was plenty of entertainment including some cool performances from local youth dance studios at halftime. The team’s mascot Big G also performed a hilarious dance routine to a montage of hip-hop songs during one of the breaks. This is truly an event that kids (and adults) of all ages can enjoy even if they don’t understand the rules and regulations of basketball. I highly recommend attending a Harlem Globetrotters game if they are coming to a city near you! Save $7 Off Tickets for Harlem Globetrotters 2015 Tour – Use promo code FAMGUIDE to get your discount. 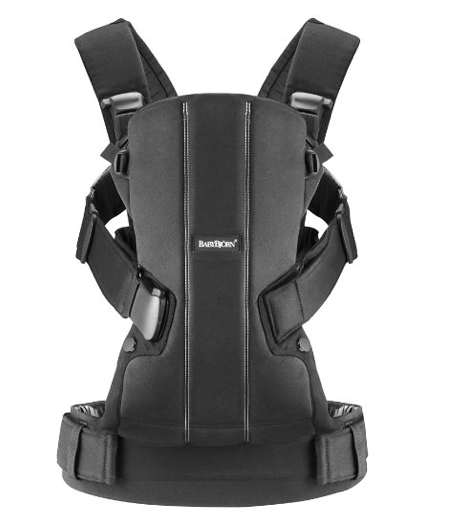 BABYBJORN We Ergonomic Carrier 41% OFF! Currently the highly rated BABYBJORN We Carrier is 41% OFF! *Remember Amazon pricing can change at anytime. I own this exact carrier and you can check out my review of it here. LEGO Duplo Farm Animals set on SALE! Teach your child all about the world of friendly Farm Animals with this fun LEGO DUPLO set. They will love recreating the noises that the sheep, rabbit, goat and pig make in real life and will enjoy building the shelter made of colorful, DUPLO bricks. There’s even a big flower for the animals to sniff and nibble on. Features a sheep, rabbit, goat and pig; Also includes a shelter and a flower element Help your child recreate familiar farmyard noises; Role play with your child to learn about animals; Help your child master basic building skills LEGO DUPLO products are fun and safe for younger hands. Up to 60% OFF Children’s Clothing! Currently Amazon is offering 30% off Gerber clothing! Check out the selection of adorable boy and girl clothes in a variety of sizes. >> There are also tons of other brands of clothing on sale in Amazon’s 60% Off Girls Clothing offer and 60% Off Boys Clothing offer that they also have available right now. *Remember Amazon prices can change at anytime. 25% OFF Shoes & Purses! Through 2/18 Amazon is offering 25% off shoes and handbags! Add products described in the promotion to your Shopping Cart via the “Add to cart” button. Enter promo code 25OFFPRES on the Checkout page. Select styles. Restrictions apply. This is a limited time offer. Offer expires February 18, 2015 at 11:59 p.m (PT). Amazon reserves the right to cancel the promotion at any time. The promotion applies only to qualifying items displaying the offer message on their product information pages. Items that do not display the offer message do not qualify, regardless of the nature of the item. The promotion applies only to products sold by Amazon. It does not apply to the same products sold by other sellers. FREE Cottonelle Clean-Ripple sample mailed you! Request a FREE Cottonelle with CleanRipple sample to be mailed to you! * Once you’re on the Cottonelle page, just click on the “Dare a Friend on Facebook” OR you can choose the “Don’t want to dare? Click here” option and create a Cottonelle account to request a free sample. Darlin’ Deals Review ~ Transformers Rescue Bots: Jurassic Adventure on DVD! Disclaimer: I received a complimentary advanced copy of Transformers Dino Bots: Jurassic Adventures on DVD to review. I was not persuaded to write a positive review. All thoughts and opinions are my own. Kids’ interests change like the wind; 2 years ago my son was into Thomas the Train, last year was his LEGO phase, and lately he’s been obsessed with Transformers and Dinosaurs. So I’m sure you can imagine his excitement when a new movie, that combines both of his current favorites, arrived at our house for my review. If you have a Transformers fan or Dino obsessed kiddo in your house this movie is the perfect mix of both worlds and you can snag this dino-themed Transformers adventure on DVD now since it was released for sale today, February 10th. Check out these exciting clips from Transformers Rescue Bots: Jurassic Adventure. No monetary compensation was provided to Darlin’ Deals for this giveaway, only complimentary products were sent for review purposes. Dr. Brown’s Natural Flow Bottles on SALE! Currently this highly rated Dr. Brown’s set of 5 Natural Flow Bottles is just $13.06 (normally $24.99)! CLICK HERE to Subscribe to Darlin' Deals FREE Daily Deal Emails!